Development of VoWiFi is turning the tables for the competition between Mobile Network Operators (MNOs) and over-the-top (OTT) services on international voice traffic. However, Wi-Fi also has its own caveats. 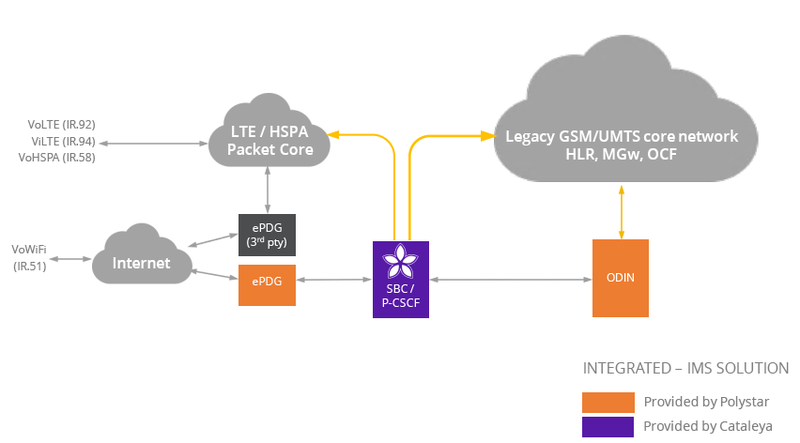 As OTTs do not care about the QoS levels of their users, the MNOs cannot afford the same level of flexibility from their subscribers or roaming partners. Voice is a sensitive service that does not react well to network degradation. Just by measuring the WiFi signal levels is not a sufficient and other metrics are definitely required. It requires an intelligent system that can determine if the subscriber should perform the call on WiFi or remain in the cellular network. We partnered Taqua and created the next generation VoWiFi solution (GSMA IR.92 and IR.51-compliant). It is a full end-to-end solution that leverages the real-time call quality analysis engine from the Orchid One, next generation session border controller (SBC), to intelligently determine the best network to carry the subscriber call. Best quality of experience (QoE) of the subscriber is ensured by correlating metrics like MOS score, RX-Factor, network quality and correlate all this real-time data with previous metrics from the same hotspot. As there are untrusted networks that MNOs have very limited control, it is imperative that the solution can make quick decisions and seamlessly move the subscriber’s call to the cellular network without any interruption.